Home / Posts Tagged "option"
Our reply: Please enable ‘Destination Memory’ in your Function Setup. 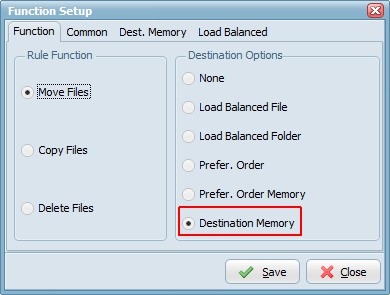 This option will solve the issue because our file mover will remember which destination failed and will not move the file to the destination(s) that was(were) successful. The feedback afterwards from robert was even better.